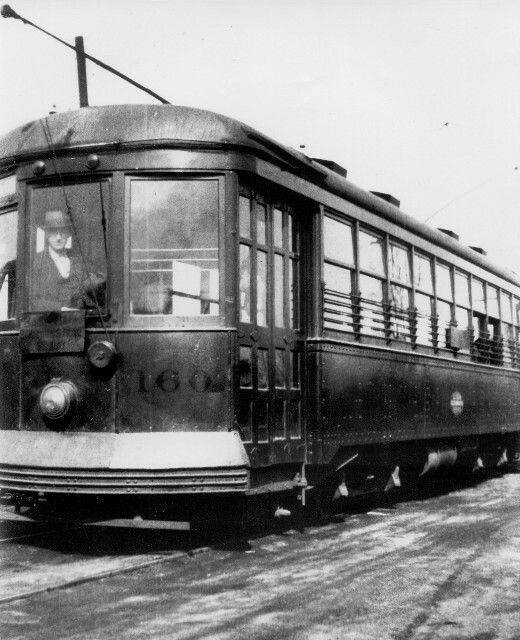 Two later views of car 160, after it had been painted orange, probably in the early 1920s. 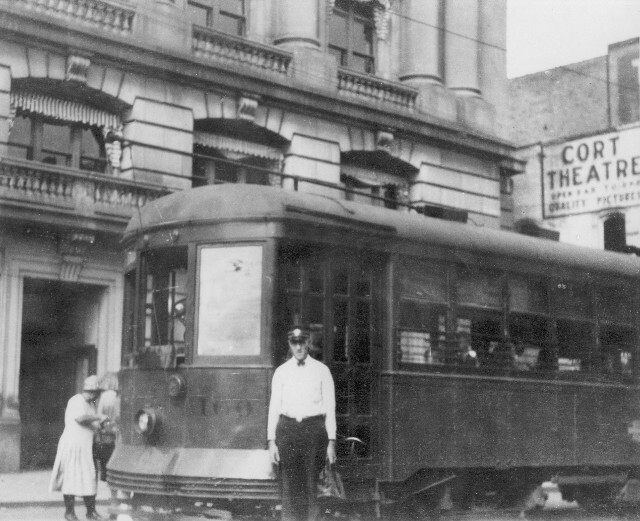 The top photo shows the car around 1930 in front of the Vermilion County Court House on E. Main St., on the E. Fairchild & Douglas Park Line; the operator is Ray Combs. The second picture was taken at the end of the E. Fairchild line, probably in the 1920s. Marker lights have been added above the center window in the car ends.